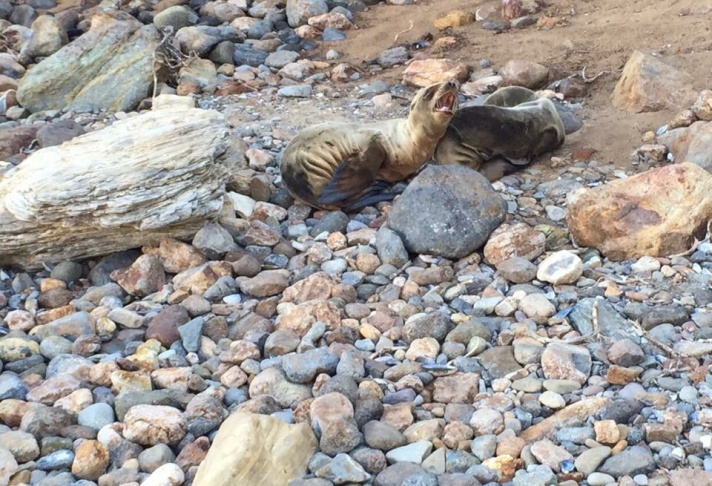 Sea lion pups photographed at Point Dume on March 9, 2015. One (bottom) is believed to be dead. 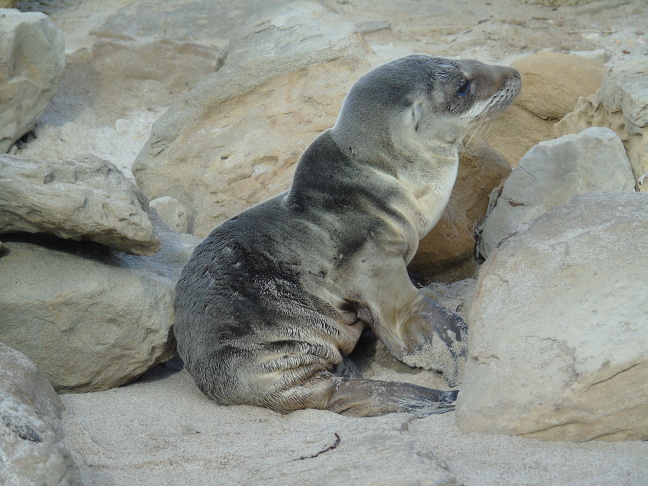 Many sea lion pups in California's Channel Islands are underweight and are washing up on beaches starving are dead. Biologists suspect unusually warm ocean conditions are reducing marine productivity, causing female sea lions to struggle to find sufficient food to nurse the pups. California sea lion pups keep washing up on the state's coastline at abnormally high numbers: more than 1,800 starving pups have been brought into rescue facilities already this year, officials reported Tuesday. 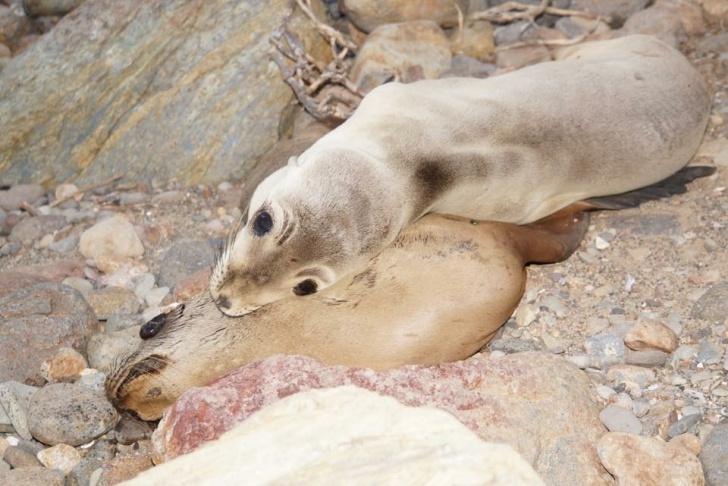 Justin Viezbicke, California Stranding Network coordinator for the National Marine Fisheries Service, said that he's asking the public to be patient when it comes to rescue attempts for emaciated pups. He said that the network won't be able to rescue all pups and efforts to do so would hurt its ability to treat animals already in house. About 750 sea lions are being held for treatment in facilities right now. “If we go over too many animals, the care really is lessened for all of those animals, and they all have decreased chances of survival,” Viezbicke said "Whereas, if we can focus on the ones we know we can give the best care and have the best chance of survival, we at least are giving them the best shot." He said the warm water isn't likely caused by global warming because its development was too recent and too regional. 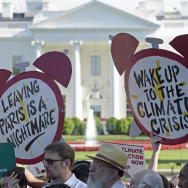 “The bigger picture, you step back and look at the whole broad region of the Northeast Pacific Ocean, it’s likely to stay warm for much of this year," he said. "Unless we get a winter next year that’s more normal and a lot stormier," he added, "I think that it might persist. 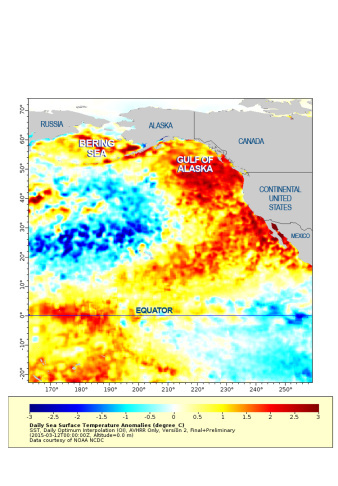 And if the El Niño develops, then it becomes even more likely to persist all the way to the end of the year and to next spring." 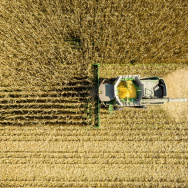 “Even in naturally occurring situations like this, Mother Nature can kind of control the population size out there, and those that are doing well — that are currently in this warm water situation — will probably continue to do ok,” Viezbicke said. "And those that don’t, will kind of be weeded out from the gene pool."